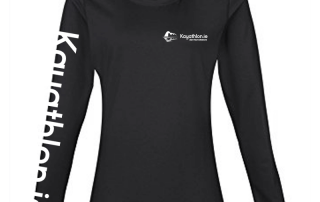 A while back Kayathlon.ie in conjunction with Quest held a competition for a free entry to Quest Glendalough. The winner was chosen at random. The winner was a guy called Dave Gowan. Not only did Dave win the draw, he won the blooming race too. 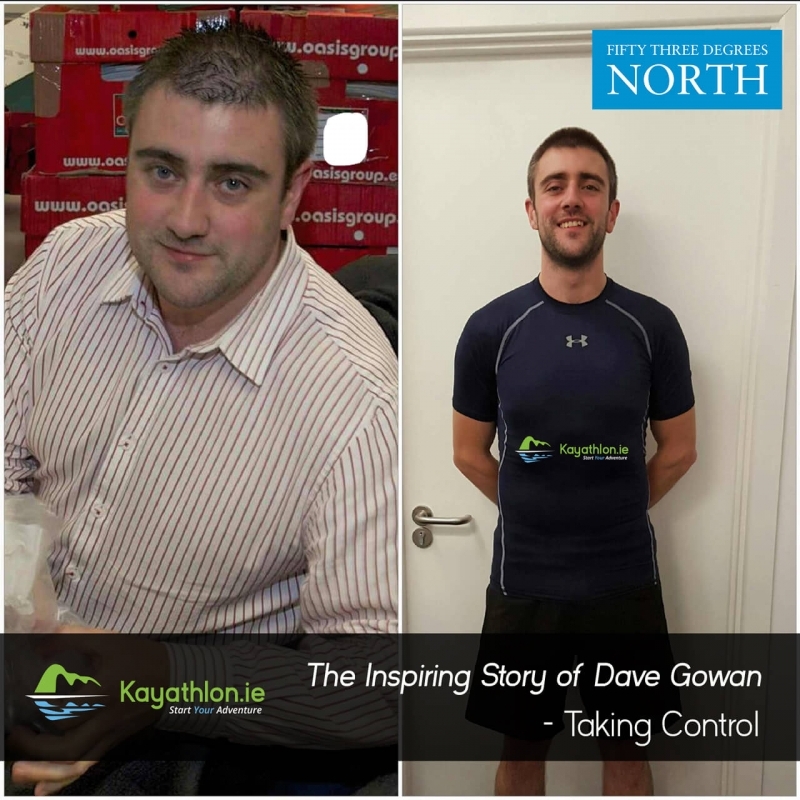 After the dust settled, I spoke to Dave and well, his story was unbelievable. Literally from zero to hero in 4 years. How a change in mindset has transformed his life. I urge you to read his story, it will be time well spent. This time 4 years ago I was 28, overweight and completely out of shape- that is, unless you consider round a shape… I never intended to get like that, but sometimes life falls into a cycle and hey, that’s just the way you are. I was never particularly active but I thought I was doing enough exercise to get by. I guess I knew in the back of my mind that I had a bit of weight to lose but nothing really motivated me to do anything about it and I just coasted along. I was commuting 240kms a day and I always had that as an excuse for not exercising. That was until December 2013 when I got the kick I needed… It was a simple remark that someone said to me, I’ve known this person for years, we get on really well and while it certainly wasn’t said maliciously, but it definitely hit home. I decided, like so many others, that come January, I was getting my act together and getting into shape or at least more “in shape” than I was. A friend suggested I try running…. But I ignored that and headed for the gym! “Forget that running lark, I could barely run the tap never mind actually run, the gym is where I need to be”. The first month and a half rolls past and nothing seems to be working, I keep telling myself that these things take time but realistically I’m struggling. I’m not seeing any progress or improvement and the only thing I’m losing fast is my motivation! Come February, I feel like throwing in the towel, again that same friend is there “Try running…”, reluctantly I give in and agree to give it a try. We download the Couch to 5k app to my phone, line up some music and I’m ready to rock. Except I can’t run, what if someone sees me! I put a lot of thought into it and decide, it’s February, it’s dark, if I run early enough in the morning before work no one will see me! First morning I’m on the road for 6am, it’s cold and dark but the streets are quiet so I’m happy. In bits, but happy! A month passes and I can slowly see improvements, small ones but improvements none the less. At this stage I make the next big move and decide to get my diet sorted- signing up to the local Weight Watchers class. I find this nearly as daunting as the running! I’m the only fella there, but it’s informative, simple and I stick with it. By the time April arrives I’m running 5k and the pounds are really beginning to shed…! I’m delighted, I feel great and I really notice the difference. I’d never thought I could do it, I thought that’s just how I was. Never before did I feel this good about myself. The biggest boost though, was when others started to notice too. While one comment got me started, the constant praise and compliments was definitely the motivation I needed to keep going at this stage. I plug away at the training throughout the summer, strictly sticking to my 6am training. For me, this is definitely the best time of the day to run, very little traffic, footpaths are quiet, during the summer you might even catch the sunrise and most importantly for me, by getting my run in first thing in the morning, nothing even the weather, got in the way of my run. It was done and dusted before most people’s alarms had even gone off. It might sound cliché but it does really set you up for the day! I’m slowly building up the mileage and it feels fantastic. Marathon day arrives and I’m nervous, very nervous. 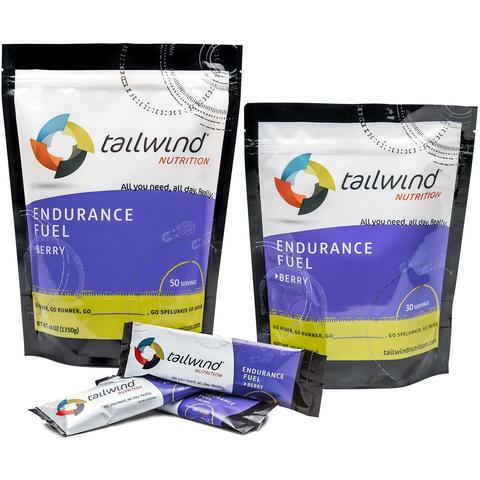 Looking back now I know I started out too fast, but at that time I knew nothing about pacing, hydration or race nutrition! Race preparation wasn’t my forte at this stage and a big bowl of porridge was a close as I got to carb loading! As we hit the Phoenix Park, 10k in, the kilometres started to drag. I dig in, I keep the head down and tick off the kilometres. 30k and the lack of hydration hits me hard, I cramp up badly, it hits me in both calves! I’ve never experienced anything like it. It was horrendous! I have to stop, stretch it out and end up having to walk. Eyes to heaven, I was gutted but I was going to finish no matter what. I managed to get going again and run / limp / jog the last 4k. The atmosphere at the finish was unbelievable, the crowds cheering and that feeling of crossing the line – its indescribable. I honestly struggle to put it into words, the sense of achievement was overwhelming, I was on top of the world! I’d done it. I didn’t qualify for the Olympics but completed a reasonably respectable marathon in 4hrs 23mins. I was over the moon. 2015 started off very slow. I completed Hell and Back at the end of January and I was still feeling the marathon in my legs. But then, the months tick by and I’m only going through the motions, I feel like I’m missing something. I’ve no races planned, I’ve nothing to aim for and I just run for the sake of running, my only motivation is a fear of falling back to my previous self. I need to find something to aim for; I need to set a goal. In my search for something new I attend a talk in “The Great Outdoor” on Adventure Racing, the accompanying pictures look spectacular – I’m in! I start by doing some trail running in the Dublin Mountains and I’m hooked. 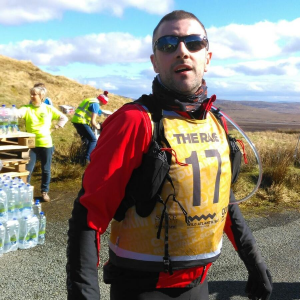 Having found my niche and building up my mileage across the Dublin and Wicklow mountains, I decided it was time to set myself a proper challenge. I hit up that modern day phenomenon “the Internet” for help. 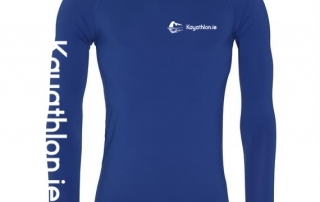 A few google searches later and I’m signed up for Gaelforce West in August and the Killarney Adventure Race in October. Whist I own a bike it’s more akin to some modern art as opposed to a mode of transport. I’m going to have to start cycling now too. I struggle my way up to 40kms, this cycling lark isn’t as easy as it looks! I’m back proper training again and there is a real cut to it. 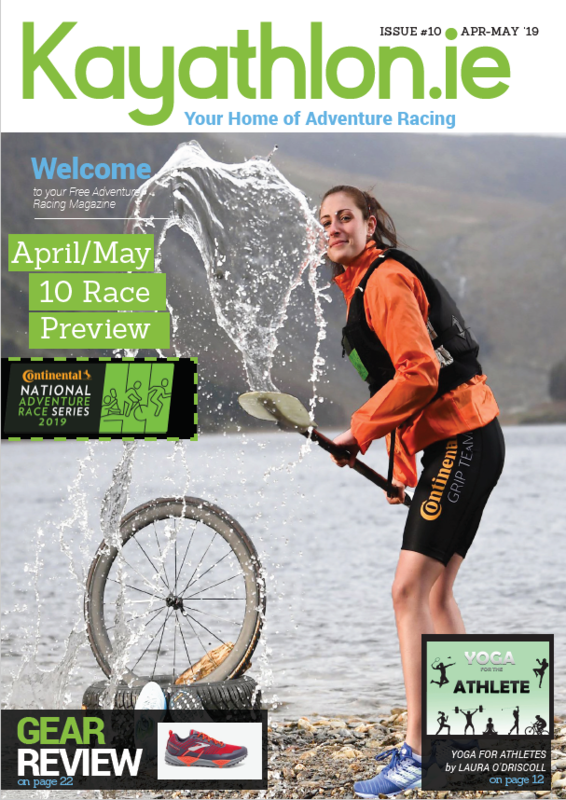 Preparing for two of the biggest adventure races in Ireland and it feels fantastic. Personally, preparing for events like this really pushes me further in my training- it’s something everyone should do. Target an event, a time in a race or a place on a sports team and go for it. I finished Gaelforce and Killarney and loved every minute of both races! I was at my absolute limit for both races. These were like conquering Everest for me! 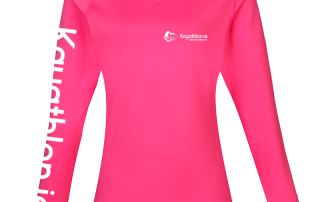 In between these two events we had our company, Couch to 5k event in Leopardstown. I was on form on the day and set a personal best of 19:47 – I honestly never thought I’d see the day, cracking the sub 20 mark for a 5k!! Rewind a year and I’d struggled to finish my first 5k, like really struggled, quite simply it was 35 minutes of just struggling. It was by far the toughest thing I’d ever done but here I was a year and a half later and I’d cracked sub 20 minutes. That feeling of accomplishment was amazing. This was closely followed by a 100km charity cycle that I got talked into. Thought I’d never sit down again! The cycling bug was starting to bite though. 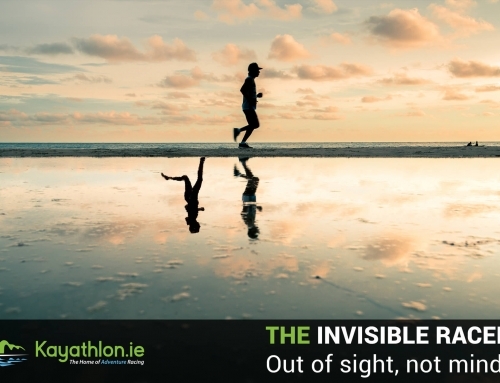 By the end of September, it felt like everyone was talking about the marathon again, I knew so many people doing it and I’ll be honest, I was jealous- me, jealous of people running a marathon?? Previously when people mentioned marathon I thought of the old snickers bar- yup, Homer Simpson style. Anyway, I gave in to that jealousy and figured despite having not done any specific marathon training I’d turn up, run it nice and easy, and see how I’d get on. I crossed the line in 3hrs 54mins and I enjoyed every minute of it. This year being better prepared, in better shape and running at my leisure, or so I thought! !, I still got that awesome feeling upon crossing the finish line- simply put it was euphoric but something wasn’t right.. A week goes by and my left foot is still bruised and swollen. A trip to A & E confirms a fractured foot. Turns out that “Turning up and seeing how I got on” wasn’t my wisest moment! Valuable lessons are learned the hard way! So after 2 marathons, 2 adventure races and a score of 5k and 10k races, I was officially a new me. 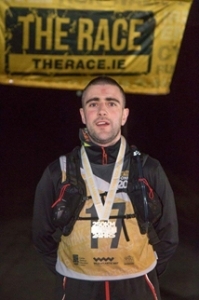 Maybe even getting a little too ambitious… back to the good ole internet for the next challenge to keep me in check, I always like to plan about 6 months out so stuck “adventure race Ireland 2016” and up pops “The Race”. It’s so infamous they don’t even have to name it!! I read the online race profile. The Race itself sounds ridiculously tough. 24 hours of hell. I read some of the bios of previous competitors. These people are super human, multiple Ironman finishers, Marathon des Sables finishers, you get the picture!! Here’s me with a couple of races under my belt and I’m considering entering… WTF am I thinking!!! I mention it to a couple of people and their reaction is ultimately what drives me to enter. “That sounds absolutely mental!! !” I’m signed up and googling the living daylights out of “adventure race training plans”! Quite unsuccessfully I must add. There’s not an awful lot out there when the distance goes above 70kms. 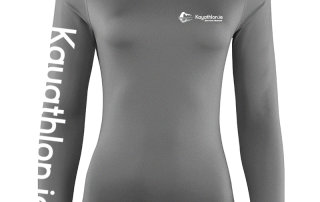 I bodge together “a plan” that will hopefully see me through The Race. It’s off to a tough start, first 6 weeks or so I can’t run due to the fractured foot so it’s bike, bike, bike for the first while. The killer with The Race is the winter training. You’re out in miserable weather 5 to 6 days a week. It really takes its toll on the enthusiasm…. it’s damn tough to force yourself out in literally all kinds of weather. Some days the weather wins though and I put that day’s training off to another “nicer” day… another valuable lesson was to be learned here but I didn’t realise it at the time! 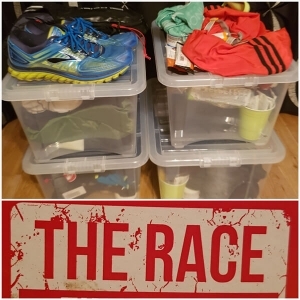 My plan was focused a little biased towards running, this was my comfort zone, plus I felt like I had some making up to do after the disastrous start I’d had. I thought I had it all figured out. I was hitting my target running miles each week and getting out on the bike when I could. 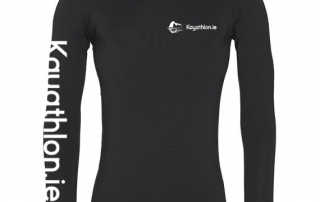 This was hugely helped by the fact that myself and Shauna, my girlfriend, had signed up for the Donadea 50k in February. It was great having someone else to share the miles with. 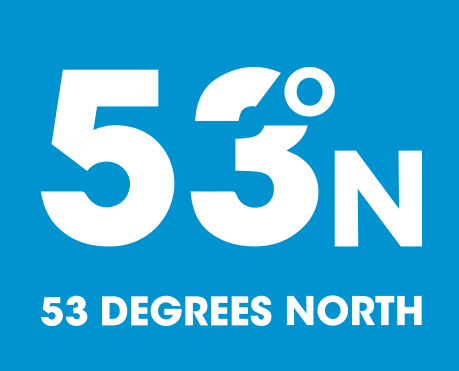 February rolls around and I’m facing the prospects of running a 50k ultra marathon as a training run! I actually have a plan for this one though. I cycle down nice and early, giving myself about two hours before the race start to change and prepare everything. I get a couple of funny looks and comical jibes for turning up to an ultra on a bicycle. Race strategy is simply to finish under the 5 hour cut off without dying. It all goes relatively to plan… A stray caffeine gel at 40k nearly finishes the race for me!! Turns out, despite being a coffee fiend, caffeine gels don’t agree with me… at all!! These life lessons are coming thick and fast! I cross the finish line at 4 hours 50 mins and utterly depleted. Blood sugars are through the floor and I’m looking grey and pasty. Quick thinking by a race buddy has me chugging a can of coke and back to normal in no time. After about an hour of hanging around, struggling to get changed with some unbelievable cramping, it’s back on the bike for the spin home. This had been my biggest achievement so far, hard to get my head around but I’d just cycled 50kms, ran 50kms, cycled the 50kms home and hadn’t died!!! I was on top of the world. The Race was 4 weeks away and this gave me a huge confidence boost. Bring it on! Race weekend catches up on me really quickly. The 6 months training, the weeks of packing, unpacking, repacking transition boxes all lead up to this. I was anxious but not realising what I was letting myself in for I was excited to get going. This was it. I was joining the list of lunatics I’d read about 6 months earlier on The Race website. I had a legion of followers lined up to follow me on the online tracker. This was going to be epic… it wasn’t…. The first 23km run went well, into the kayak and after decent start I make some good progress. Looking back now though, I was wasting valuable energy trying to push too hard to early but there’s no substitute for experience. I get out comfortably the far end of the kayak, happy out and scramble into my cycling gear. Caught up in the moment I’m out of transition and out on the road. That feeling of progress is short lived though… about 3kms in I realise I’d forgotten my race vest and have to head back to transition. This really knocked my confidence. I was on a slippery slope from here on. Back out on the road again and I’m really struggling mentally. This has a huge knock on effect on me physically too. Every corner I turn there’s another hill. This is torture. I struggle on, slowly, I’m broken. As the kilometres tick by more and more fellow competitors pass me. I can’t do this. I’ve never suffered so much in my life. It was genuinely horrific. I struggled to the Muckish transition, pushing the bike up the last sharp hill due to the cramping. To my sheer and utter relief I was told I’d missed the cut off and couldn’t continue. I was so relieved. I didn’t argue. I was done. I was absolutely gutted but I’d given it everything I had. It just wasn’t enough. Those missed training days had come back to get me. Donegal is both beautiful and unforgiving in equal measure. Within a week of my failed attempt of The Race I knew I was going back. This was unfinished business. I was going to strike again while the iron was still hot and build on my current training and aim for 2017. I’d learned some valuable lessons in the barren county and was not going to suffer again! I was going back to finish. The old saying of “a bad workman blames his tools” springs to mind but I’d brought a knife to a gunfight. I might as well have turned up on a BMX. I needed a new bike and I needed to actually use it! I’d failed miserably on the bike up there. Screw running. The Race is a bike race with a bike of running thrown in for the craic. Over the next twelve months I was going to become a cyclist, who’d have thought! The Race 2017 was going to be a year in the making. I hadn’t given it the respect it deserved the first time around. I’d be naive and grossly under prepared. Everything for the next 12 months was geared towards cracking that 24 hour cut off. I had a proper plan this time round. With an Excel spreadsheet to put any plan it shame I had the next twelve months planned to within an hour! 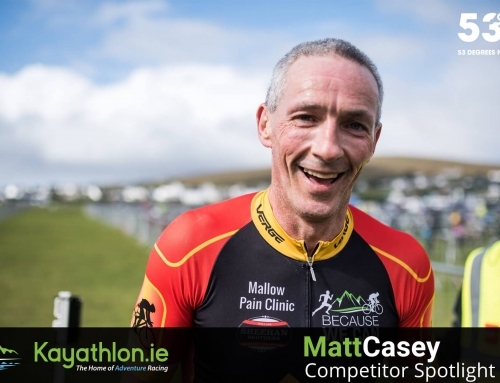 Broken into four month blocks, the plan was to build a good base on the bike for over the first four months, transition back to running for the next four supplemented by commuting on the bike, then full on brick training for the last four. The first four months absolutely few in, commuting everyday by bike and building the distance up each week peaking with The Ring of Kerry cycle in July. I was actually starting to really enjoy getting out on the bike. I was seeing the appeal! The next block things really started to ramp up with me spending a lot of time on my feet. First up was the Mourne Mountain 2 Day and it was brilliant. 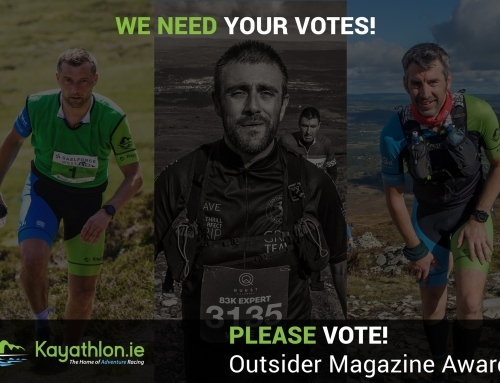 I’d managed to talk my good friend Paul Kelly into joining me for this one which saw us, as a two man team, take on everything the Mourne Mountains could throw at us. Just shy of 50kms and over 3000 metres of elevation coupled with having to route your own course (it gets damn foggy up there!!) and be entirely self-sufficient leads for a tough 48 hours. I think we repacked our backpacks 4 times the night before and try as we might. 12kgs each was the best we could do. It’ll be lighter next time round!!! Bad dose of shin splints after this. Not something I’ve ever suffered before but it’s crippling. At its worst 5k was a real struggle. A brutal beating from the physio sorts it right out though. I’m both astonished and eternally grateful in equal measure. Although not while being beaten!! Here we go again!! No idea how this is going to go… busy couple of weeks leading up to this but the body is holding up quite well. Dublin has now become a staple event in my calendar. I swore after that first one in 2014 that I’d never run another! Everything went in my favour that day and saw me running a PB of 3hrs 43mins. Now the real training for The Race begins, the next four months are planned with military precision! Being a proud dad and seeing my daughter predominantly at the weekends means I’ve come to learn that long course events are as much an exercise in time management as anything else. Weekly mileage targets had to be met no matter what. Those dark memories of the suffering last March still very much at the forefront of my mind. There was no way I was going through that again! Living in Lucan and working in the city centre meant that I had a vast array road with sufficient street lights to extend my commute in without any excuse day and night. 4am starts two or three times a week became the norm. Anything to get the mileage in. By the time January comes around I’m taking one day a week off work to get my long days in. I’m leaving no stone unturned this time around. 20hour training weeks, regardless of weather, become the average. I’m not going to suffer again!!! 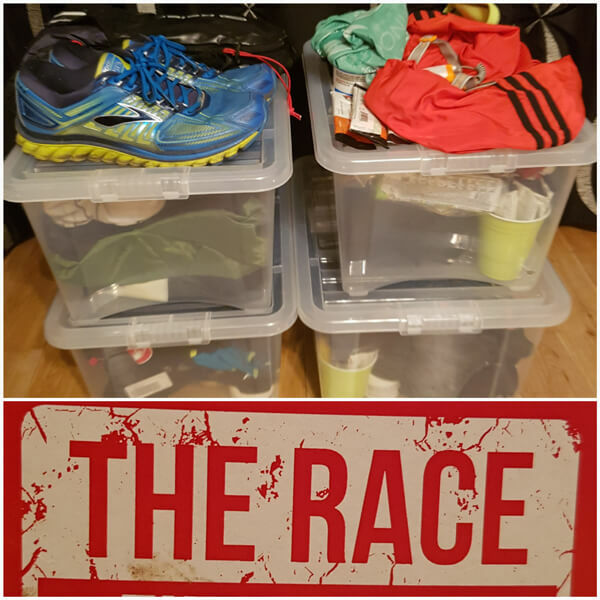 By the time March 2017 comes, I’m back on the race prep roundabout. There’s food, bottles, gear and transition boxes everywhere! Our house has become race HQ. It has to happen this time around. I’m not going through all this again! As we make our way to Donegal, nerves well and truly set in. This time I know exactly what I’m in for, well the first half of it anyway. From the off things are so much better this time round. Comfortably push my way through the first run and the kayak then it’s on to my nemesis, the cycle. The weather is well and truly in our favour this time round and I get to the Muckish transition 4hours ahead of my previous time. 4hours!!!! Again there was a plan, there’s always a plan! Run the downhill and flat sections and walk the hills. Anything to get me through! This wasn’t about time, it was all about finishing!! Finish I did! I’d cracked it! Nearly 5hours to spare!!! 19hours and 13mins. I’ve a vague recollection of the finish… the elation. It was indescribable. The next couple of weeks were strange. The emptiness. It’s hard to describe. The Race had been my life for nigh on 18 months and it was over. It sounds stupid and weird but I was struggling to function in normal day to day life. I was missing the buzz of the training, the focus. 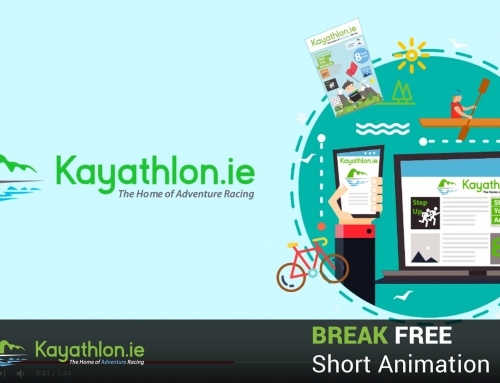 I stumble across Kayathlon.ie on Facebook. I love the format and the highlight for me is the calendar. At a glance I can see what’s on, where and when. Up pops their Facebook competition. Like every single other one I see, I do the require steps, Like, Share, Comment & Forget. Low and behold two days later as I sleepily scroll through my phone over my 5:30am coffee. 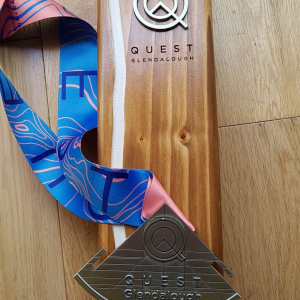 Up pops my name, I’d won race entry to Quest Glendalough Mini Adventure Race. I haven’t run at all since Donegal, I genuinely consider the thanks but no thanks approach. Am I glad I didn’t!!! Turns out all the training pays off, who’d have thought. Despite my fears my legs actually did what they were told and powered my through to the finish…. In first place!!! I’d never have thought I’d ever get to this point. I’d actually won a race. It was the best feeling ever. Sure it was the mini race, but it was an unbelievable feeling of achievement. I get a great buzz from running, cycling and being in shape but old Dave still pops up every now and again and I treat him to the odd pizza or chipper Friday- confident enough to know it isn’t going to ruin all the hard work. But training and living healthy has become the norm for me now, so much the norm it’s no longer a “choice” or a “routine”, it’s just life. I do apologise if I’ve dragged on a bit but if I can inspire just one person to take on their first 5k this was worth reading! Not everything goes to plan. Nothing that comes easy is appreciated but if you work for it anything is possible. Plan ahead. If you’ve nothing in the calendar it’s to coast and the months just slip away. There is no such thing as “I don’t have time” there’s always time!! Make time. Pick something and work damn hard until you get it, then plan the next. If you don’t succeed, chalk it down to experience and go again until you nail it. I know myself; if I don’t plan I won’t succeed, at all! I need something to focus on. Something to drive towards. I like to keep busy and usually aim for one event a month while planning 6 months ahead. The rest of this year is no different. 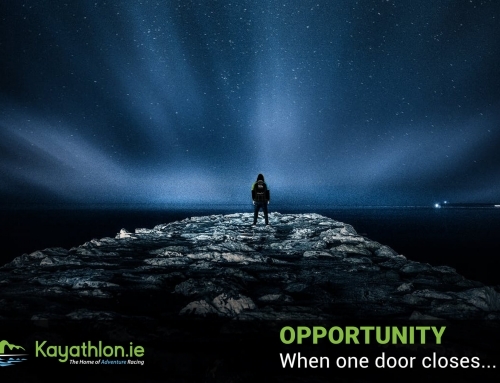 June – Gaelforce West; July – Snowdonia Trail Marathon; August – RocknRoll Half Marathon; September – Mourne Mountains 2 Day; October – Monaghan Triple Back to Back Marathons & Dubllin City Marathon. Any suggestions for November??? Thank you for reading and I hope you enjoyed this.